Hey! 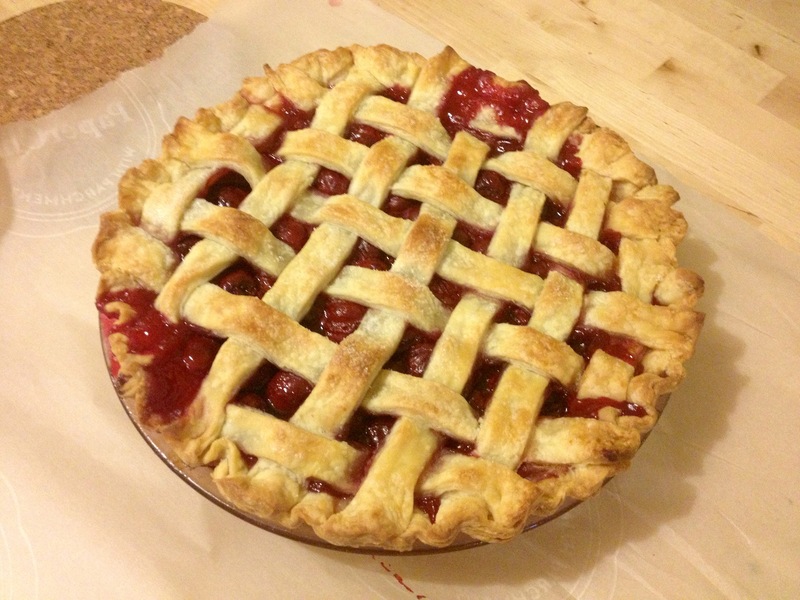 Gorgeous pie! 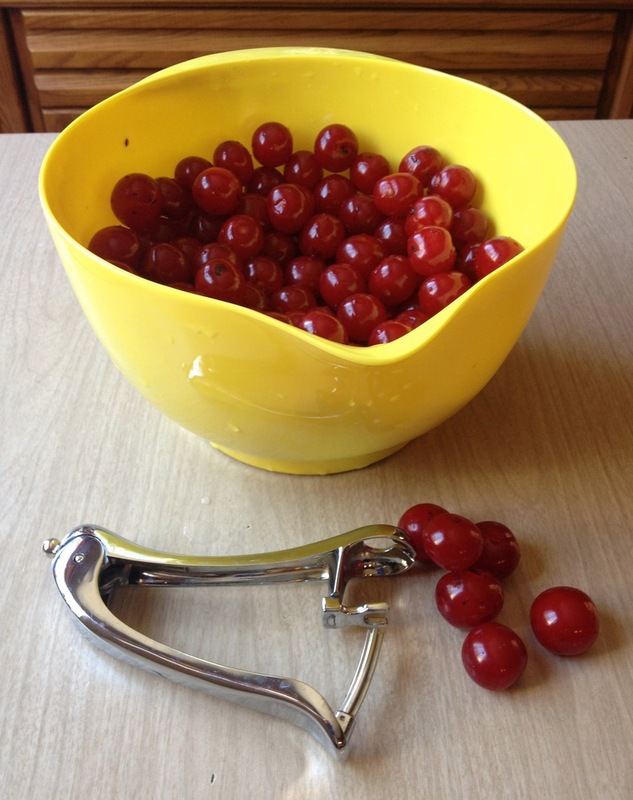 Did you find your pie sweet enough with only that much sugar with that many cherries? 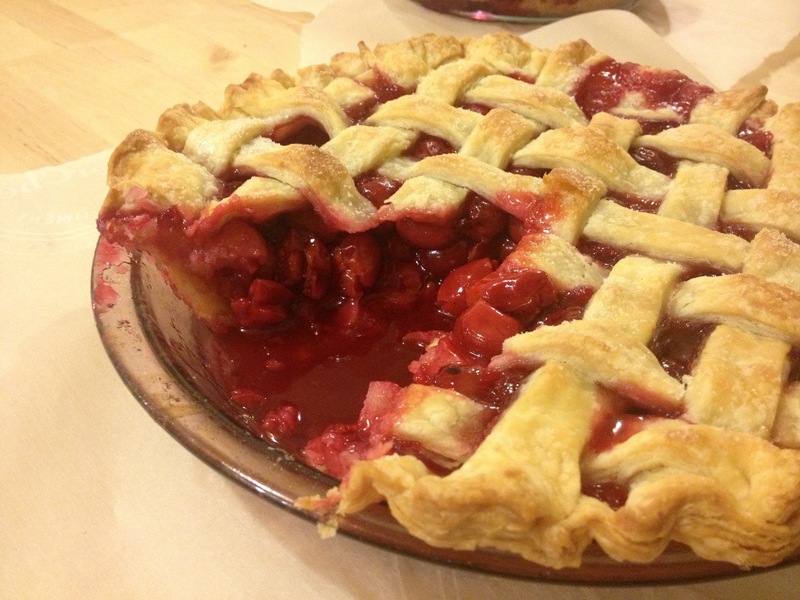 It is tough to get the right balance of sugar to sour cherry mixture in a pie… and, lard is not “hydrogenated oils and trans fats”. I guess you know that would be Crisco or something man made. Lard is as natural as butter. I have even rendered my own, and written about it – even did a pastry tasting with my rendered lard, Kevin’s and Tenderflake. It was a very interesting experience. That being said – everybody loves butter. I do enjoy my pies with half lard, half butter…. but lard is traditional, and still so delicious, too! Loved that this is your most cherished Canadian recipe… and would have enjoyed hearing more about why. 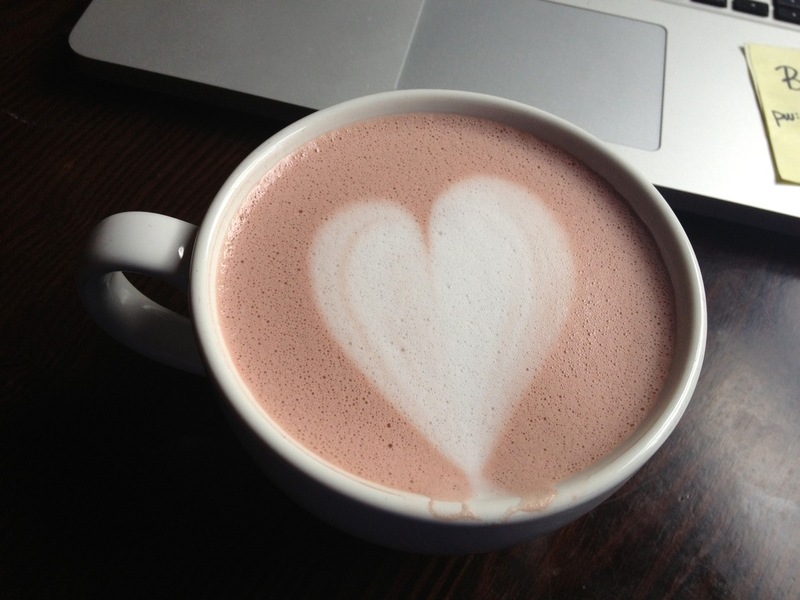 A cherry latte is new to me. I guess I don’t get out much. Thrilled you are participating in The Canadian Food Experience Project with such heart!